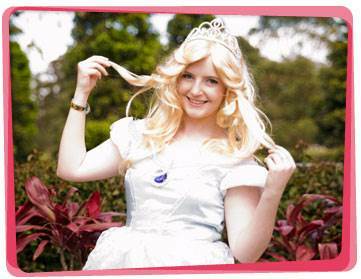 Experience the wonder of your very own princess party in Melbourne. 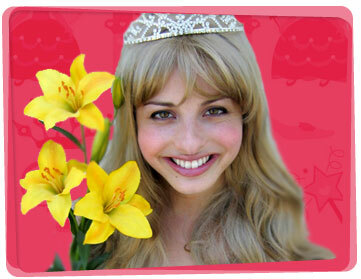 Let us transform your kids birthday party with your child’s favourite princesses. All our fairytale princesses are ready to make your little ones wishes come true! 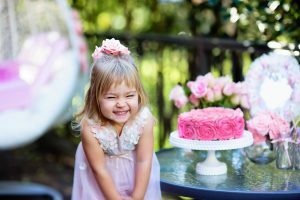 We supply a very special recipe for your princess party – one cup of magic, three cups of games, a tablespoon of storytelling, five knobs of balloon twisting, two teaspoons of face painting and a liberal sprinkling of laughter and joy! Kids can have their photographs taken with their favourite fairytale Princess! Your birthday party girl will also be given a modelled balloon crown and balloon wand during the magic show (so they know they’re special). Yabadoo Princesses for hire will arrive at your party in Melbourne dressed in bright and beautiful themed costumes and they all have backgrounds in drama, creative play and magic. When it’s time to party and celebrate your loved one’s special day, we can add that spark you might be missing. Some of the places our princess’s entertain at include childcare centres, libraries, council and community events, company family fun days and Christmas parties. Book us for your next event in Melbourne! This Melbourne game will be perfect for your Little Mermaid themed birthday party! Your princess entertainer divides the children into 2 teams. Each team gets a large colorful towel. The first 2 players of each team go first. Player 2 wraps Player 1’s legs with the colorful towel to form a mermaid tail. Player 1 holds it in place so it doesn’t come off. He/She hops towards the turnaround point and hops back to the team. He/She takes off the mermaid tail and passes it on to Player 3. Player 3 then wraps Player 2’s mermaid tail. Player 2 does the relay, and so on. The team who finishes the race first is declared the winner! First, you’ll need to mark the start and finish lines. Make the distance age-appropriate. Then, divide the children into 2 teams and have them stand in line. Each team gets 1 crown each. The first player of each team wears their team’s crown. Tie their feet together with beautiful shiny princess lace. They race to the finish line by keeping their feet together, only moving forward one inch at a time. They need to keep their head high and keep the crown on their heads. Once they reach the finish line, they hop back to the starting line as fast as they could and pass the crown to the next player, and so on. 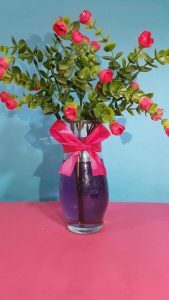 One of our favorite tricks is mixing food coloring with the water inside a clear flower vase. You can even add gold sequins to add some sparkle to your party. Use it as a centerpiece or as an accent to your food table. It’s a quick and easy decoration for your princess party. To add more variety, complement your sparkly centerpiece with paper decorations. 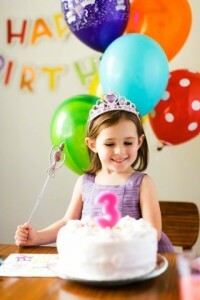 Did you know that Spotlight has party decorations you can use for your child’s birthday bash? Visit them at Essendon DFO, Shop 14, 100 Bulla Road, Essendon, VIC 3041 or check their website to find a store near you.